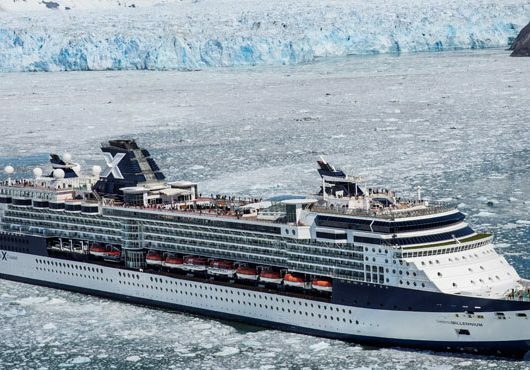 What is the first thing that comes to your mind when you think of a cruise? Luxury? Sea? Perfect Destinations? Adventure? But have you ever thought about how a ship could be an innovation in the sea, an amalgamation of things beyond your imagination. 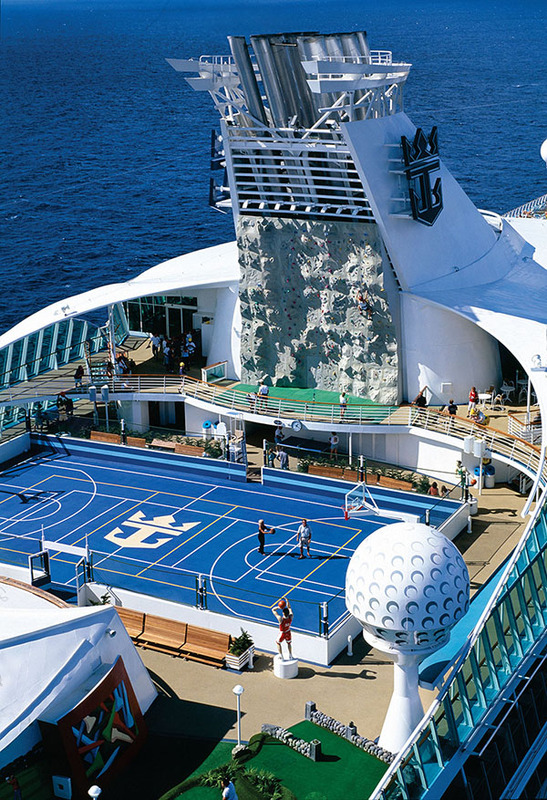 And what a better example of that, than the magnificently stunning, Voyager Of The Seas. You must be wondering what is so special about it. 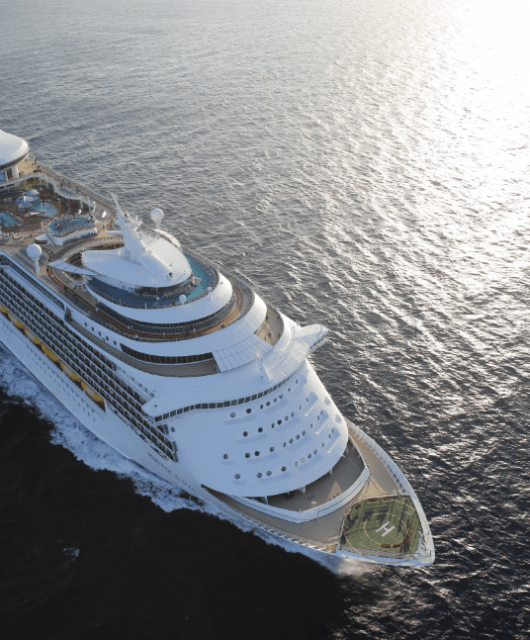 Weighing 1,37,276 tonnes with a guest capacity of 3,114 people, more than 18 dining options, 3 pools and 6 whirlpools, a spa, a rock climbing wall, a flow rider, The Voyager Of The Seas is a world in itself. Its revolutionary on-board amenities, the space that works with you, the technology you can bank and the way it redefines team building are the things that set it apart. 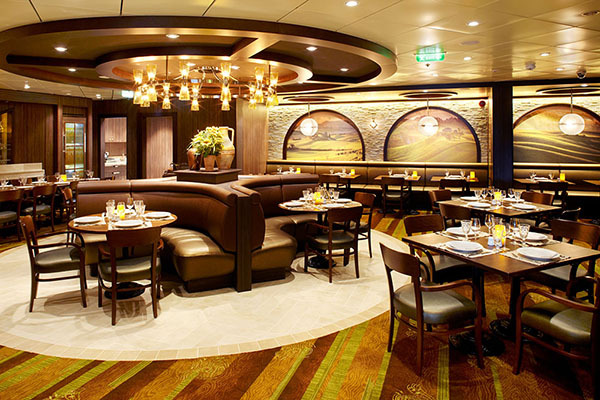 Come, lets walkthrough the majestic Voyager Of The Seas. With almost 1,643 staterooms, that include suites with balconies, ocean views (both with and without a balcony), interior staterooms with virtual balconies and the promenade staterooms. What sets the accommodation of this ship apart are the last two classes of staterooms. Staterooms with virtual balconies, have a high definition screen that spans nearly from floor to the ceiling, providing real-time views of the oceans and destinations. 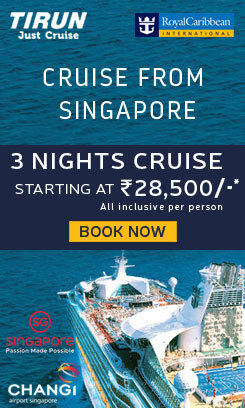 Such staterooms have two twin beds that convert into a Royal King, which is a sitting area with sofa. 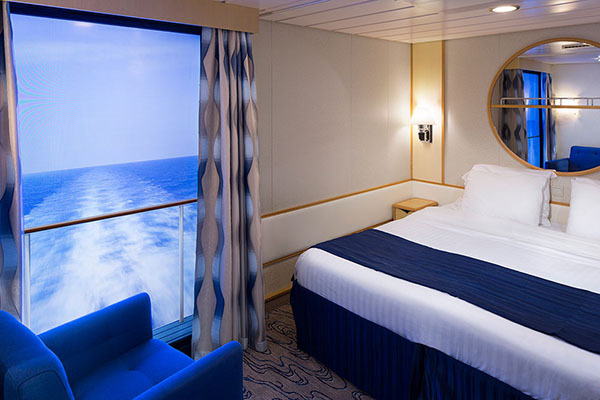 The Promenade staterooms have bowed windows with a view of the Royal Promenade, two twin beds that convert into a sitting area with sofa and also have a luxurious bathroom. Restaurants, Theaters, Pools and what not! Irrespective of whether you are travelling with your entire team or not, this could be your chance to deepen existing bonds or to make new ones. Thanks to the amazing meeting facilities and the events, the crew can organize for you. The La Scala Theater which can accommodate 1347 people is one of the most spectacular theaters any cruise ship has. The ice skating rink, the conference center and the pool areas (which includes the main pool, solarium pool, pool bar, solarium bar and the sky bay which is present on the highest deck) make sure that you are in for some unprecedented fun. 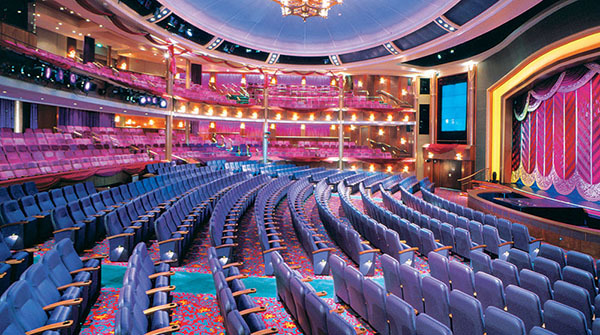 The ship also has a library, casino, and skylight chapel, in addition to 10 bars, clubs and lounges. 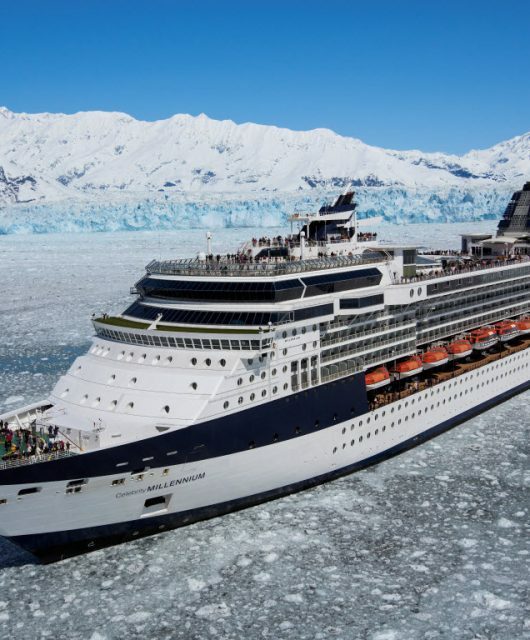 But what really is the icing on the cake is the Viking Crown Lounge, right there at the top of the ship, giving you the chance to experience the sea like never before. The crew can also organize everything from group sessions to scavenger hunts or private dining at any of the specialty restaurants. The 40 feet long surf simulator called the Flow Rider, the ice-skating rink, the rock climbing wall, the mini golf course, the elaborate weight systems and cardio equipment, the spa, three pools, six whirlpools, outdoor poolside movie screen and boutiques, do you think you need anything else? 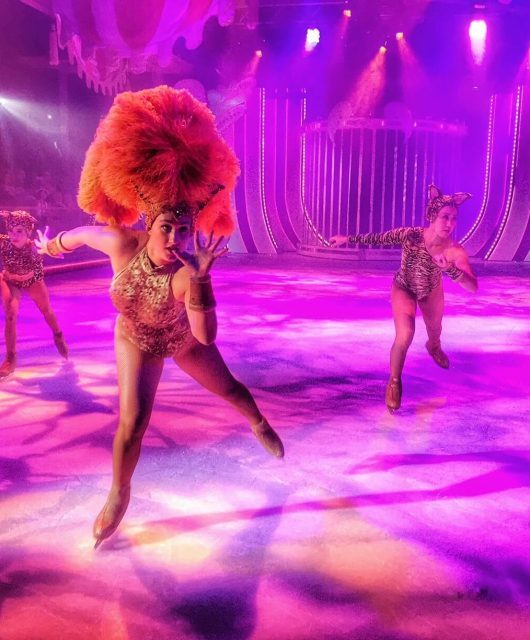 Oh wait, you can also enjoy some Broadway style shows, musical performances, live comedy shows, stunt shows from world class skaters and panoramic views at the top of the ship. And as far as your kids go, they’ll cruise with Shrek, Kung Fu Panda and their favorite DreamWorks’ characters, experience parades, dine with them and much more! 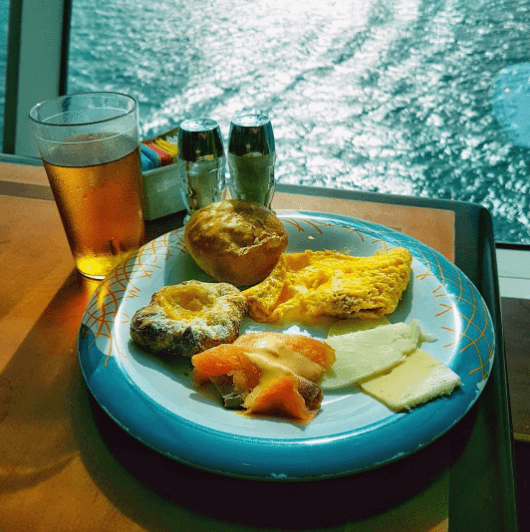 Well this is just the beginning, raise the bar on your next vacation, by choosing to cruise with the Voyager Of The Seas. It’ll take you to every destination from Australia to the South Pacific, to let you experience some exotic expeditions and dazzle your taste buds. Log on to, www.tirun.com to know more.